Today’s post is from Tammy T. Tammy is an avid reader and one of my favorite people. Enjoy! 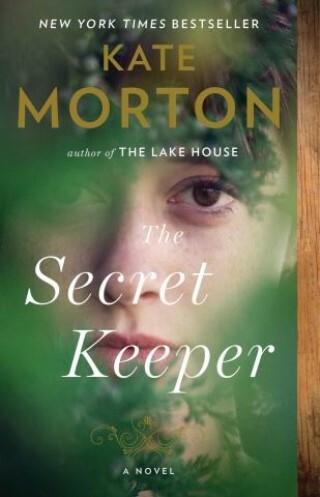 The Secret Keeper by Kate Morton was a great read. I became totally engrossed in the lives of the characters. The story is set in Europe and stretches over decades, from pre-WWII through modern day Europe. It begins with Laurel, the teenaged daughter of one of the main characters, witnessing a crime that turns her view of both her world and her parents upside down. Flash to current day Laurel, a successful actress, who returns home for her mother Dorothy’s birthday. As she assesses the decline in her mother’s health, she realizes that she doesn’t really know her as a person and is drawn back to the memories she sequestered as a child of that fateful day that shook her to the core. Making up her mind to solve the mystery from her childhood she enlists the help of her younger brother who, though just a baby at the time it took place, somehow retained some memory of the crime. In her quest to learn more about the person her mother used to be, pre-marraige and children, she unlocks a secret more shocking than even she could have imagined. The story is written in such great detail; I totally got swept up in the narrative and could see it unfolding as vividly as if I were there. The Secret Keeper makes the reader take stock of their own dreams, loves and losses, and reevaluate how well we truly know the people we love. Download The Secret Keeper here.